Wear the Tiffany on late night rendezvous and twilight escapades. 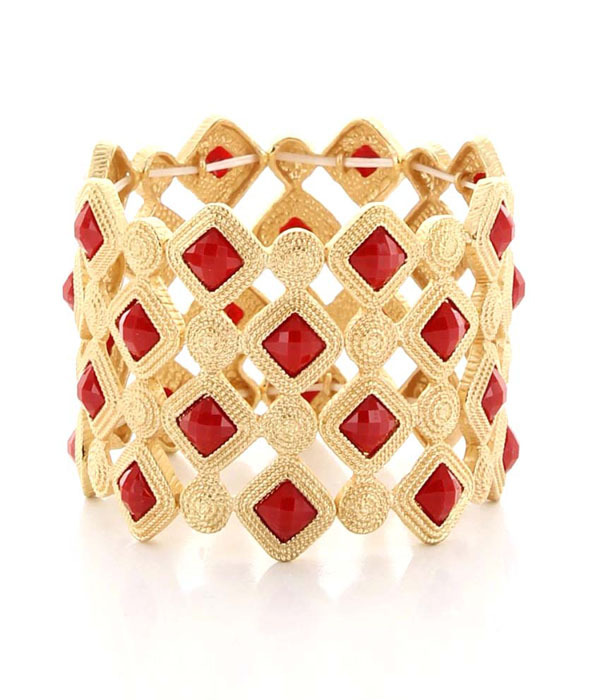 A bracelet harmoniously bringing together an arrangement of faceted red beads across a gold-plated base in a 1920s manner. Divine with kissable red lips. Get fantatsic value when you buy your fashion bracelets at Oz Bling.